3rd April, Dublin, Ireland – Irish Funds, the representative body for the international investment funds community in Ireland, today announced the appointment of Umar Ahmed as its new Head of EU Affairs. Based in Brussels, Mr. Ahmed will lead Irish Funds’ engagement with the EU Institutions, regulatory authorities and other stakeholders as it ramps up its European advocacy. From May, the Association will be represented full-time in Brussels and this marks another milestone for the industry in Ireland which continues to grow and rapidly evolve. 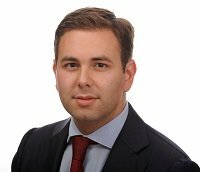 As a dedicated resource providing a key link with the Association’s membership, its 600 strong working group structure and the Secretariat in Dublin, Umar will lead Irish Funds’ advocacy on key EU policy, legislative and regulatory developments providing insight and advice across member interests. With 10 years’ experience in government and regulatory affairs across Europe and the US and a strong background in financial services, Umar joins from BNY Mellon where he worked in the US Government Affairs & Public Policy team in New York. Prior to that, he was a key member of BNY Mellon’s EMEA External Affairs team in Brussels and London. He began his career in EU financial services consultancy in Brussels, working for Hume Brophy and Gellis Communications. “We are delighted to welcome Umar to the team as Head of EU Affairs. The strength of our relationships and quality of our advocacy in the EU is fundamental to ensuring our members’ voice is heard where policy, legislation and regulation are being formed and implemented. The addition of Umar’s skills and experience to those of our team in Dublin will unlock great opportunities to collaborate and work with colleagues right across the European industry, national representatives and ESMA in Paris. The Irish Funds Industry Association (Irish Funds) is the representative body for the international investment fund community in Ireland. Founded in 1991, Irish Funds represents fund managers, depositaries, administrators, transfer agents, professional advisory firms and other specialist firms involved in the international fund services industry in Ireland. Irish Funds’ more than 140 members service or manage in excess of 13,500 funds with a net asset value of €4.2 trillion. 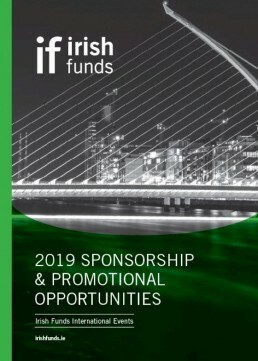 Irish Funds objective is to support and complement the development of the international funds industry in Ireland, ensuring Ireland continues to be a location of choice for the domiciling and servicing of investment funds. Over the last 25 years Ireland has become a premier jurisdiction for fund managers establishing regulated investment products for distribution in the global marketplace. In recent years Ireland has been the fastest growing large international fund administration centre. Ireland is also a leading European domicile for money market funds and exchange traded funds, as well as the world’s premier jurisdiction for the stock exchange listing of investment funds. International investment managers are attracted to Ireland due to its open, transparent and regulated investment environment and its strong emphasis on investor protection. As Brexit negotiations continue, Irish Funds are continuing to see managers from around the globe looking at domiciling their funds in Ireland. Today, Irish domiciled funds are sold to investors from 90+ countries across Europe, the Americas, Asia and the Pacific, the Middle East and Africa. Over 900 fund promoters from more than 50 countries have funds domiciled or serviced in Ireland. There are 38,000 people employed in the financial services industry and in excess of 16,000 directly in investment funds industry. Over 500 fund promoters from across the globe have used Ireland to set up regulated investment funds distributed to shareholders throughout the world. Fund promoters can rely on expert service supported by 16,000 skilled employees across the entire service provider community, including fund administrators, trustees, legal advisers, auditors, tax advisers, compliance, listing and other industry specialists.